Recently, I’ve started to view Stan Rogers through a different prism. Listen to the late folk singer’s music and you’ll discover not only a stunning songwriter, but a passionate historian whose work was inseparable from the history of his country. Throughout the 1970s and early 1980s two young brothers from Hamilton toured Canada and the United States, singing songs like Northwest Passage and Fogarty’s Cove in every kind of venue imaginable. When I listen to the recordings now, it’s hard to imagine that life on the road was anything but lively gigs in theatres and bars all bursting at the seams with joyful spectators. But back then, long before Stan Rogers’ tragic death transformed him into the “voice of Canada,” and then the “legend” that he is today, he was, in every way, a working-class musician, often horrendously represented by some incompetent publicist, playing to half-empty rooms with his younger brother Garnet, and just hoping to make enough money to fill the tank. 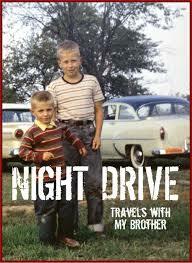 “It wasn’t like today, where there is some little room in nearly every town,” Garnet Rogers explains in his wonderful memoir, Night Drive: Travels with my Brother (2016). The folk revival of another decade was all but a memory, and there simply were no gigs. “If you presented yourself as a songwriter,” he recalls, “you were met with puzzled silence.” There were only a handful of places to play, and only rumours here and there of others, though they didn’t pay well, if anything at all. “You watched and you waited,” writes Garnet, “and you played where you could, and you tried to make it count.” Night after night with their instruments, the two brothers and their bassist climbed into their van, playing shows for over a decade together. But just why did they stick with it for so long? Why didn’t they just go back to Hamilton, and throw in the towel already? Get ‘real’ jobs and lead ‘normal’ lives? Garnet Rogers’ memoir reveals many things, but its implicit reflections on these questions resonates the most deeply. Its answers are long and winding, not clear-cut or bold. It weaves between the past and the present, between the highways and the shows. It radiates with sadness and grief, with wit and with reverence. What emerges is a portrait of a brother who was deeply in love with his work. That’s what drove him. This wasn’t mere public relations strategy; the context of people’s lives resonated with the singer. In a similar scene a few years previous, this time appearing on the late-night show “Canada After Dark” with host Paul Soles, Stan jumped enthusiastically into a history of Canso, Nova Scotia, before eventually landing on the story of the Guysborough Railway. He launched into one historical story after another, all in a manner that was passionate without being patronizing. These stories he evidently relayed because of their relevance to songs he’d written, but I think it was more than this. Stan Rogers possessed a natural historical sensibility, a respect and curiosity for the past that he was incredibly eager to share. History not only informed, it excited him. When a guest seated next to Stan remarked how pleased he was that he’d brought the “dying story” of the Guysborough Railway back to life through song, Stan promptly – but warmly – corrected him. Did he know a book had been recently published on the subject? “An excellent book,” Stan assured him, noting it was for sale at book stores across Antigonish. While it is wonderful to watch old CBC video clips of Stan Rogers talking about the history in his songs, it is not so much the history in his music that holds my attention. If it did, I’d doubtless linger on his oftentimes skewed portrait of Canada; I’d challenge the ‘one warm line’ in his famous Northwest Passage, the white male heroes and the strong nationalist content. I’d pull out his lyrics and inspect them and discuss what kind of past they (mis)represented or brought to light and how, and I’d surely find similarities between Stan Rogers and Stompin’ Tom Connors or Gordon Lightfoot, or a whole host of other white male, English-speaking artists who have drawn inspiration from the past. But through this exercise I would also be encouraged by my knowledge that these artists –just like historians – do not merely relay “the past,” but recreate it within their own times and places, driven by worldviews, theories, and assumptions. What is more, I would be reminded – heartened by historians like Hayden White, Michael Witgen, Elizabeth Fenn, Julie Cruikshank, A.B. McKillop, among many others – that History is not only the terrain of academic historians, but artists and poets and writers and elders and journalists, myriad storytellers who travel a similar road and who relay the past in both written and oral form. What’s truly remarkable about Stan Rogers is not the specific historical events that he brought to life through song, but the manner in which he came to their defense. It is the empathy and wonder they stirred in him, and his willingness to work tirelessly to share his work with others – in his own way – that gives me so much courage. Garnet’s memoir reveals early on that Stan was bullied relentlessly as a kid. It explains perhaps why he developed the temperament he did as an adult, sensitive to unfairness and quick to anger. While the highway was where Stan could stop to help a stranded motorist, or watch the northern lights, or even tend to an abandoned kitten left helpless on the road, it was also the scene of fighting and threats and occasional firings. In one case, Stan even left their bass player by the side of the highway (though they did eventually return for him). The picture isn’t always an endearing one, but that “fire in the belly” that Stan possessed on the road was no less mighty on the stage. He had a conviction in what he said and a drive to keep singing, whether or not it was popular or well received. Since finally putting down Night Drive (it’s a long one at over seven hundred pages…) I can’t seem to get Stan Rogers out of my head. It’s not his songs or his particular version of the past so much as his approach, and his empathy that lingers. Like the nineteenth-century historian Constance Lindsay Skinner, he was far more interested in the bigger picture of human experience, not just the details of historical fact. In our time, one of ‘fake news’ and nuclear talks, and political leaders who name-call and bicker over the truth, it appears we need the historically-minded now more than ever, thinkers willing to elbow their way in to the debate, offer their voices and views, even if those views are met with “puzzled silence” or downright indifference. Perhaps historians today hold a great deal in common with songwriters of the 1970s, looked upon strangely, sometimes curiously, but no matter. While there is much talk as always about what our arts degrees will ‘get’ us, there too should be room for what people who care about the past can give. While no less worried about job prospects than the next person, this strange gift of a memoir about a folk singer from the 1970s has me trying to embrace my inner Stan Rogers, allowing myself to get angry, stopping to help, abandoning myself to the work. If only just to see. Ann Walton is a Ph.D. Candidate in the Department of History at Carleton University. Banker, Stephen. “Rogers’ warmth and zest apparent to all around him.” The Globe and Mail. 4 June 1983, E3. Miller, Mark. “Singer’s Loss Stuns Folk Scene.” The Globe and Mail. 4 June 1983, E3. Rogers, Garnet. Night Drive: Travels with my Brother. Brantford, ON: Tickle Shore, 2016. Garnet Rogers, Night Drive: Travels with my Brother (Brantford: Tickle Shore, 2016), 25-26. Mark Miller, “Singer’s Loss Stuns Folk Scene,” The Globe and Mail, 4 June 1983, E3. Stephen Banker, “Rogers’ warmth and zest apparent to all around him,” The Globe and Mail, 4 June 1983, E3. Canada After Dark, “Stan Rogers Shows off his First Guitar,” CBC Digital archives (Aired 30 November 1978). thanks for this! good piece!